entrance hall introduces you to Baltic pine floorboards and high ceilings. The two bedrooms are generous and face east to enjoy morning sun. The kitchen and study come off the large lounge. At the rear there is a mud room, undercover outdoor entertaining and laundry. The yard is surprisingly large and can be accessed via the shared drive way. 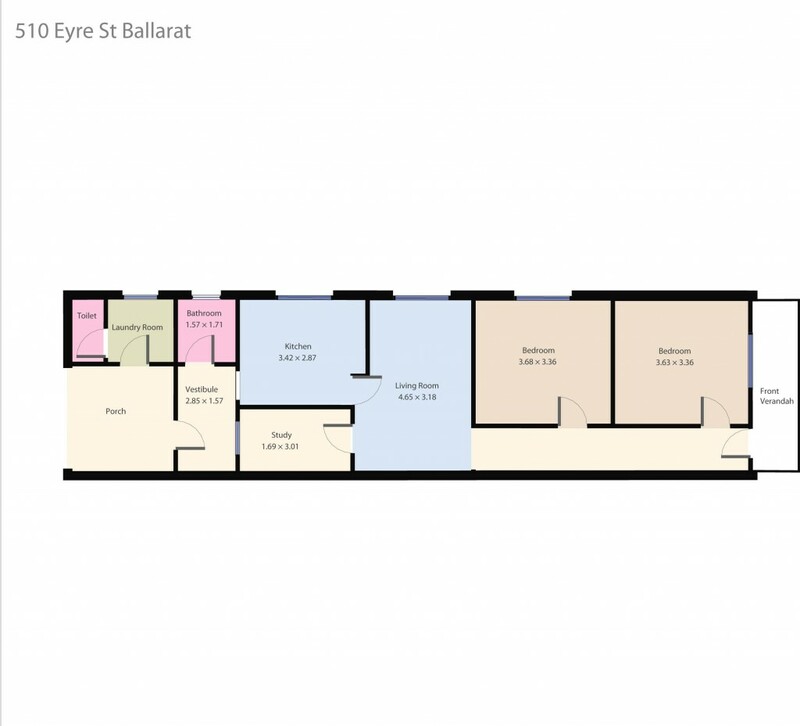 A unique opportunity to get your foot in the Ballarat Central door with this great value proposition. Contact the exclusive listing agent Dominic Morrison on 0409 557 461 today.